With new fitness trends popping up every day, there's no lack of options to stay active in Hong Kong. 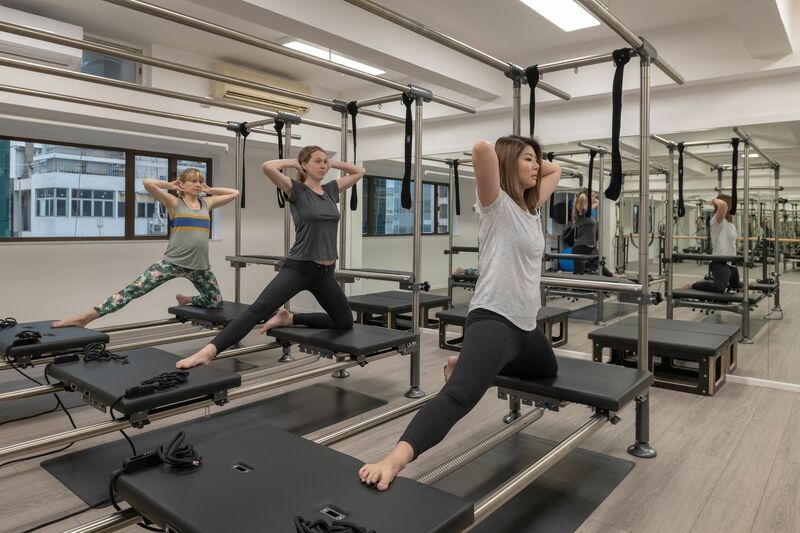 And while Pilates, yoga and barre continue to rise in popularity, new variations of the classics are also picking up momentum in Hong Kong’s fitness scene. Enter SELF Fitness Studio, the first studio in Asia to introduce The Garuda Method (aka. Garuda Fitness), an all-in-one fitness programme that encompasses the principles of Pilates, the breathwork of yoga plus the grace and athleticism of dance. Founded by ex-Flex Studio instructor Bonita Kong, SELF Fitness Studio pioneers The Garuda Method based on movements that focus on creating a stronger mind-body connection, including mat, barre and apparatus work to challenge your core strength, mind and discipline. The Garuda Method was developed in London by James D’Silva, who was born and raised in Goa, India before moving to England to become a professional dancer. With his background in dancing and Pilates, he created the Garuda principles which challenge the body’s flow of movement using the spiral lines as a guide. Unlike Pilates and yoga, there’s no long holds, no movement that is done in a single dimension and no strict rules of moving. Instead, Garuda fitness pays attention to flow and grounding, working the muscles from inside out and outside in. Located in the heart of Central on Wellington Street, SELF Fitness Studio is divided into two sides—with three Garuda machines on the right and a yoga/barre studio on the left. Our instructor, Bonita Kong, began the class with some simple stretches on the mat to warm up our spine. After 10 minutes, we moved on to the Garuda Fitness machine where Bonita showed us how to adjust the split platform, pulleys, ropes, stability slings, bars and straps. The apparatus work was a combination of Pilates, yoga and dance-inspired exercises, and we were told to perform each move slowly with awareness to our joint rotation, spinal movement and breathing. The pace of the class was slow and the workout was made up of planks, lunges and crunches, but in a Garuda manner, which emphasises the fluidity of the movements. Ask A Trainer: What Is The Keto Diet And Is It For Me? Verdict: The class was a mix of yoga- and pilates-inspired moves on the mat and the machine. You definitely need to be comfortable with ropes, springs and moving (not to mention, splitting) platforms as there’s some adjusting to be done before commencing each exercise. There's also an element of meditation to the workout, where movements are executed mindfully with nature as inspiration (one of the moves had us flowing like seaweed). Verdict: While the Garuda apparatus does take a bit of time to get used to, the variety of workouts that can be done with it is amazing. The Garuda sequence is quite different from Pilates or yoga as it requires more awareness in spinal movements. I can see how Garuda fitness could be beneficial as a pre- and post-natal training as the intensity can be adjusted for all fitness levels. Verdict: The class was a great reminder that sometimes we need to step away from the high intensity workouts and be kind to our bodies. The machine focuses on the little muscles we tend to overlook during other workouts and is great for stretching and improving flexibility. If you have an injury, this class will help you build up strength little by little without any hard impact. SELF Fitness Studio covers a wide range of exercises to suit various individual needs, including strength and flexibility training, mindfulness and recovery from injury, surgery or pregnancy. Depending on your fitness level and interest, you can choose between a mat-based, barre, apparatus, and a trio group class, and a private session is available upon request.